Let’s be honest right from the start: analog is always going to provide the best audio experience. Digital just doesn’t quite sound as good, especially if you’re an experienced musician or an audiophile. 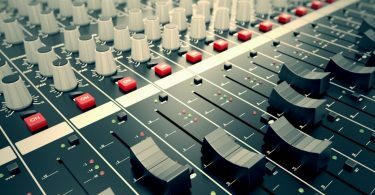 Right now there’s an unfortunate trend in the music business towards more digital tones, and while many people like digital music, it’s not everyone’s cup of tea. 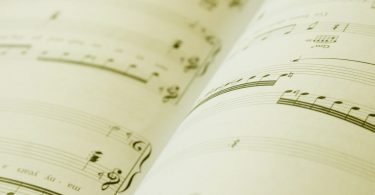 Today, many musicians are creating sounds with VST software and MIDI controllers. This method of sound synthesizing simply doesn’t sound as good as the classic analog synthesizers that were popular in the 80s and 90s. As with the majority of sounds, there’s just too much inherent distortion in digital synthesizing. While I am the guitarist of a small New York City band, my fellow band mates and I agreed that we could use a few non-guitar sounds in our music. I became a pretty good synthesizer player while I was in high school and college, but the Novation UltraNova 37 Key Synthesizer that I had in storage wouldn’t work that well for our sound. We decided to look into a new synthesizer for our band’s sound. I began my more comprehensive research contacting some of the floor salesmen at my local Guitar Center in Yonkers, NY that really had some insight into synthesizers in general. I decided to find out which is the best analog synthesizer on the market today. To find the best of any product takes a lot of due diligence. I took a deep dive into the synthesizer world so that I could also find a new quality analog product that I could use for my band. I managed to test about 40 high-quality synthesizers, some of which you’ll be seeing in this guide. With its classic styling, the Sub 37 simply provides some of the best-synthesized sound available. 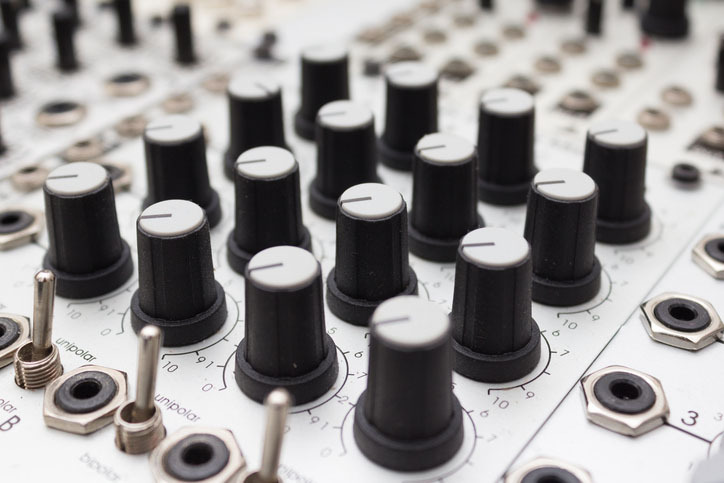 Before we get into why I picked this product as my favorite analog synth, let’s take a quick look at some pre-purchase considerations for synthesizers. Playing the synthesizer or using it to add a little flavor to your music is something for everyone. Whether you’re a neophyte synth player or an old pro, it’s worth exploring the world of synthesizers; even if the synth you find is digital. It sounds great to have a new device with a lot of studio-quality tones, but as a beginner pick a cheaper, less feature-rich device. It’ll help you cut your teeth on the instrument, and you can always invest in a more expensive device when you’ve become more skilled. Most analog synthesizers will provide a plethora of waveforms for you to play around with. As a guitar player who has a full pedalboard of pedals, I can assure you that playing around with the waveform is one of the most fun things for a musician. It can turn a “blah” sound into something spectacular. A base set of waveforms is sine, saw, pulse, triangle, and sometimes a square waveform. This means that you start by sending an audio waveform through a filter. Gradually, it removes all of the excess sound and frequencies until all that is left is the desired sound. Subtractive synthesizers are more attractive because the sound generated is more crisp and resonant. Subtractive synthesis is something that you find in a lot of old-school analog synths. For more info on subtractive synthesis, Synthesizer Academy has a great write-up. Presets are very fun and almost always sound beautiful. That being said, presets sound a little too nice for a lot of practical music making. 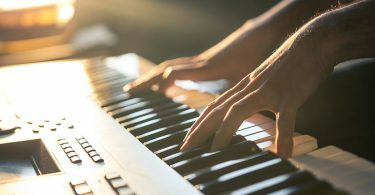 They are very heavily processed and usually are very layered, which means that if you plan on having additional instruments, the sound you make with a preset can make it sound a bit too busy. To be honest, a lot of musicians get trapped by presets; I feel that they can actually stifle creativity. The best synths will have a lot of room for you to create your own patches. This means that you’ll be able to craft your own preset sounds that you can add to your music at a later date. This degree of customization is important. I can’t emphasize enough the fact that you should use a synthesizer to craft your own unique sound. It’s like this with any instrument, so get your new synth and get recording! As you know, I selected the Moog Sub 37 Tribute Edition as the best analog synthesizer after my research. This classic-style synth really has a lot going for it, especially for those who want to bring some of the types of synthesized sounds of bands like Joy Division and Echo and The Bunnymen into their music. It’s not very beginner-friendly, but for those who have a history with analog synthesizers, there’s few on this product’s level. Moog is one of the quintessential brands in synths, so it’s no surprise that you’d find one of their products on this list, but what is it that makes this instrument special? Frankly put, it’s this synth’s ability to generate a wide variety of unique sounds. The synth even has 37 velocity sensitive keys that will allow you to generate some great-sounding tones. While presets shouldn’t make or break a buying decision, this particular synthesizer has 256 preset for you to potentially employ in your music. Add to this the fact that you can also create your own patches using the 16 slots that are built into this synthesizer and you’ll have a ton of tone options with this instrument. Two of the coolest features of this particular synthesizer are its inclusion of the two wheels that are positioned along the side of the keyboard. One of these wheels controls the pitch, while the other mods the tone that you produce. With these two knobs alone, you’ll be able to quickly produce a wide variety of unique sounds. These features make this one of the best products for synthesizing on the market today. It also has a great construction; the product has sturdy wood siding that is a nice aesthetic feature. Finally, a portion of the proceeds received from the sale of this Tribute Edition synthesizer will go to the school district of Ashville, North Carolina. There, these proceeds will be used for music education. Music Tech has a great review for this synthesizer that rewarded it with an almost perfect score. 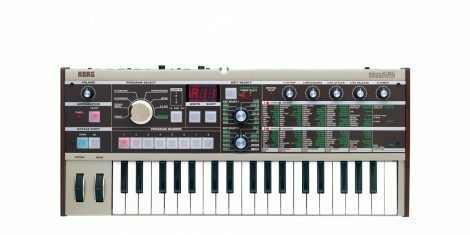 The Moog Sub 37 Tribute is amazing, but the Korg microKorg 37-Key Analog Modeling Synthesizer gives it a run for its money. Korg is an instrument manufacturer that is well-known for exceptional keyed instruments. The Korg microKorg continues this tradition by providing 37 pressure-sensitive keys that are responsive and have enough action for some great tones. As a matter of fact, it was a tough choice for me between this product and the Moog synth. Like the Moog product, the microKorg has a pair of very responsive pitch and mod wheels. 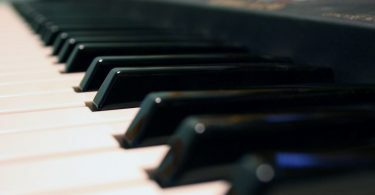 These are positioned along the left side of the keyboard and they add a lot of customization to each tone or note. Korg has been producing this synthesizer since 2002 and its one of their better synth models. It has 128 fully editable presets, which will really provide a lot of options for those who want to add them to their music. 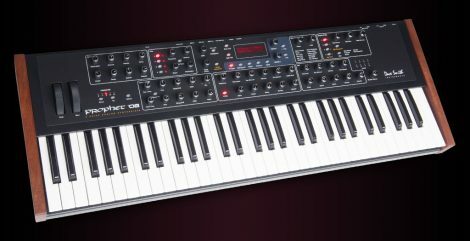 If you are looking for additional features, the microKorg has a fully editable arpeggiator and instant filter controls that allow you to further customize the unique sounds coming from your keyboard or the device’s mini-keys. These two models of synthesizer have a plethora of great features but they aren’t the only options on the market. Let’s take a look at some other products that you can consider when searching for a quality synth. As I mentioned, I entered the world of synthesizers through a Novation Ultranova model. 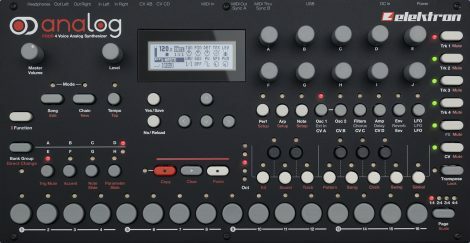 There’s a lot of great functionality in this particular synthesizer, and for the most part, you’ll have all of your bases covered if you decide to purchase one. The device has all of the standard waveform settings. These include a saw tooth oscillator, a filter that has an increasable frequency, and even a mixer. Each of the produced tones has a series dials that you can use to modulate the attack, the FX, your user patches, and the waveform. The Novation Ultranova has 20 mod slots, which is very useful when you’re creating a wide variety of sounds and I really liked the mod and tone wheels on this product, though they didn’t quite match up to our winner product. This is because the pitch wheel has a relatively slow response in comparison. This product is very configurable and controllable; two features that are very useful in a synthesizer, especially for those who know what they are doing with one of these instruments. You’re only going to get 18 voices with this product, but the synth does have a nice LCD screen that lets you keep track of your settings and presets. This particular model of synthesizer has a vocoder – a serious plus. You’ll be able to synthesize vocals with relative ease. Nord is another great instrument brand with a rich history. 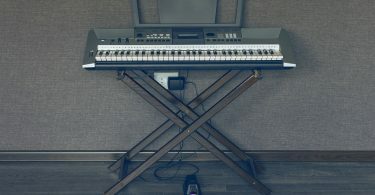 Their Nord Lead 4 49-Key synthesizer provides 49 keys versus some other model’s 37 key setups. Each key is velocity-sensitive, which provides some great customizability in tone. This is a polyphonic 20 voice instrument, and the synthesizer also lets you use what Nord calls their “voice unison mode” that lets you stack four voices for a single multilayered tone. Also unique to this product is its “mutator,” which can add some off-tune voicing to any of your patches. I really liked the sound of this when I tried it because it was very reminiscent of the sounds that were made famous in many of the schlocky horror movies from the 80s. The product has a pitch stick, which effectively does the same thing as a pitch wheel. It was useful, but many people prefer the more intuitive control scheme of a wheel; including me. I did like that the parameter randomization on this product is so robust; it allows you to quickly make a wide variety of fascinating sounding tones. You can literally spend hours just playing around with the produced sounds. From a design perspective, this is a very attractive synth. It has red wooden sides that just scream, “analog”, and plenty of portability so that you can take it quickly from gig to gig. Overall, this is a very good synth. You’re probably thinking, “Where are the keys?” This particular tabletop synth is a keyless product that works exceptionally for live performances. As a matter of fact, this product was heavily considered as I searched for the perfect synthesizer for my band. To start, this is definitely a product that you should only consider if you’re an old pro at synthesizers. It’s very complicated to use and produce the intended sounds, so if this fits your profile then give it a spin. With that said, this is one of the easiest products on this list for integration. You can easily integrate it with digital-based systems like MIDI in\out, CV/Gate, and USB powered devices. It even has its own built-in sequencer so that you can provide some solid backing to your live tracks. This synthesizer also really shines because of its built-in portability. You can easily take this to a gig, set it on a stand or table, and then use it for your live music. It has extensive modulation settings, so if you’re a producer of house, techno, or electronica, you’ll be very happy with this synthesizer’s capabilities. I also like that this product has a headphone output. As a musician who lives in a quiet town outside of a bustling city, it’s useful to have a music making device that will work when you don’t want to upset the neighbors. Music Radar featured this product in their best high-end synthesizers article, so you know that this product is an excellent pick. At only 27 pounds, if you need a relatively portable synthesizer that still manages to pack in some great features, then this might be a good choice for you. Its pitch and mod rockers are in a bit of an awkward position, especially compared to our recommended and runner-up options, but after a bit of playing it’s easy to get used to. If you love keys, then the Prophet ’08 is also a great product for you; it packs in 61 velocity sensitive ones that will provide you with plenty of tones to run through this instrument’s suite of tone and modulation altering settings. It can produce some very classy-sounding tones but doesn’t have as many oscillators, envelopes, and low-frequency oscillators (LFOs) as some of the other products on the market. While this may be a turnoff for some, if you want rich sounds and a robust workhorse-like performance, you should definitely check it out. 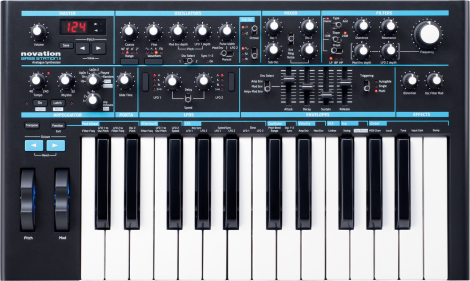 Our final product is another Novation synthesizer that specializes in crafting more bassy tunes. With the recent revitalization of more bassy electronic sounds in movie soundtracks, the Novation Bass Station II is a close-to-perfect device for a modern sound crafter. In particular, this instrument has an excellent oscillator, which runs the waveform at a very crisp pace. It also has a great LFO that can provide some of the best tone design on our list of honorable mentions. The Novation Bass Station II produces a very warm and fat-sounding tone that is really nice for a variety of musical genres. It has a textured, easy-to-use set of pitch and mod wheels, incorporates an arpeggiator, envelopes, and oscillators as well. Unfortunately, you’ll only get two analog filters with this instrument, but at least they are fairly robust. The selectable filters are multi-mode and acid. 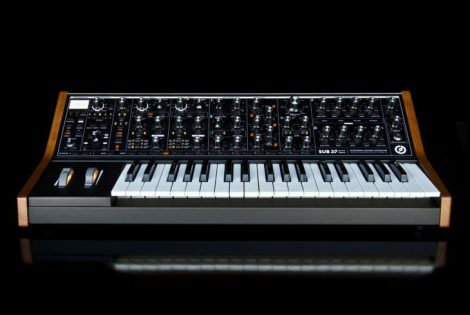 Finding the perfect synth for your use takes a bit of effort, but we feel that our top pick, the Moog Sub 37 Tribute Edition Analog Synthesizer will be the best synth for the majority of musicians. It has plenty of customizability for sound and is also relatively intuitive to use. If for some reason, this Moog product doesn’t work for you, give our other recommendations a try; they all are quality synths that will deliver years of great-sounding music.